Mala beads can help aid in your meditation practice. They are used as a counting device. Each bead represents one round of mantra. They allow you to focus on the meaning of the mantra or affirmation by keep track of your count. As the beads move between your fingers they help you stay focused on your meditation and mantra. Each mala set contains a tasseled bead which signifies the end of your mantra round. Wearing your mala beads throughout the day can help reinforce your yoga or meditation practice. Mala beads can remind you to stay present and in the moment. Start by meditating. Hang a mala bead between your middle finger and index finger of your right hand. 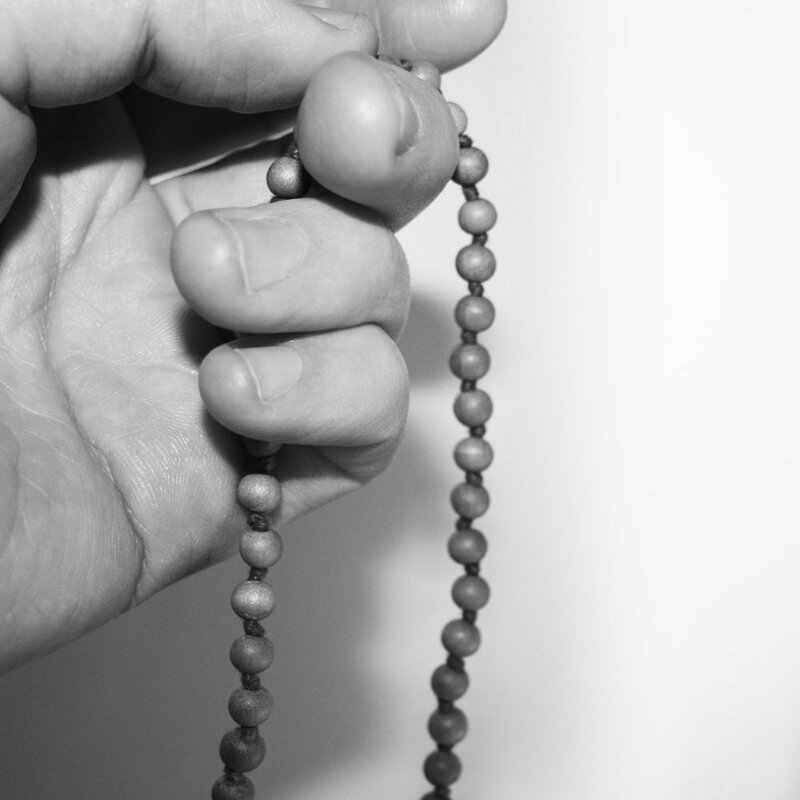 Then place your thumb on a mala bead and begin your mantra. When you have finished your first mantra slide the bead down to the next bead using your thumb. Continue on in this way until you have reached the end of your mala bead chain. If you want to keep on meditating don’t use the guru bead. Just flip the beads around and proceed. Mala beads come in various lengths and numbers. Mala beads are available in bracelet and necklace form. Necklace style malas generally come in with 108 beads and bracelet consist of 21 to 27 beads. If you prefer you could also wear a necklace mala as a bracelet. Just wrap it around your wrist several times. Mala beads are made from various materials like Bodhi seeds, Rudraksha beads, lotus seed beads, yak bone, stone and wood. The Wood Necklace Sandalwood Beads Prayer Mala has 108 beads following the tradition that all mala necklaces have a number of beads that are divisible by 9. Each Natural Rudraksha Seed Mala Bead Necklace is different and unique because they are naturally made. These necklaces are made of traditional Buddhist mala beads crafted in India with knots in between. They have 108 beads and one Guru bead. Total length approx 12.5 inches. This Mala bracelet is made from genuine Tiger Eye beads. The bracelet consists of 16 – 10mm Tiger Eye beads. It has a drawstring adjustment. It is a well made and is easy to slip on and off. The Wood Bodhi Seeds Mala Bracelet is handcrafted and dyed. These beads are commonly used to make Tibetan malas. The color of the seeds is white before being dyed brown. These seeds are also called lotus root, lotus seeds or linen nuts. The beads are solid and dense. These seeds have a very high density of resin. Check out AliExpress.com for your next Mala Beads. 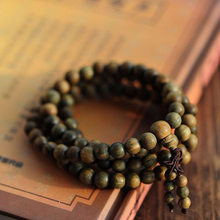 AliExpress.com – Sandalwood Buddhist Meditation 6mm 108 Mala Beads. AliExpress.com has a huge selection a Mala necklaces and bracelets. Mala beads worn throughout the day can be a great reminder to stay calm and put you in the right mind frame. Try to see if it helps you in your meditation practice.